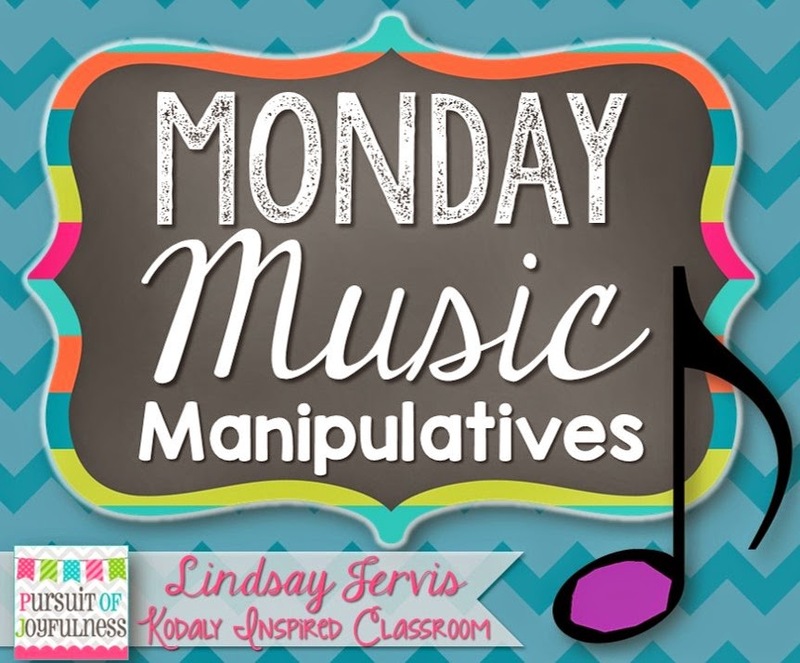 Welcome to another Monday Music Manipulatives! She had been working on preparing ta rest and was actually doing dictation with it, without labeling it. She had found two sided bingo counters and used them to make ta's and ti-ti's. 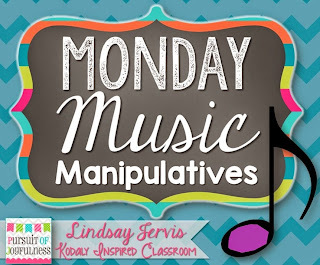 Then for the beats with no sound, she passed out some cotton balls, and the students were able to dictate on which beat they heard the piece of silence. I love this idea! Cotton balls are cheap, and fun for tactile learners. Today she used the beat charts and left the hearts where they heard a piece of silence blank. They numbered the beats, showed which beat was "empty" and labeled it as silent. She then presented the ta rest notation, moved right to flashcards to practice and on they went! A big thank you to Erin Johnson for sharing her pictures and letting me blog about her idea! 4) Copy your blog link and link up below! I use cotton balls in my classroom for The Cuckoo In the Deep Woods- the kids toss the cotton ball up and down when they hear the "cuckoo" sound. They love it because they really have to focus and listen (and they get to throw something)! Great post! I have never thought of cotton balls, but they are perfect for rests! Great job! I've nominated your blog for a Liebster Award Check it out! Wow! Thank you so much! Off to see what this is all about!